There are not many college students who are willing to wake up at 7:00AM on a Friday before class to cook breakfast for the rest of campus. But SigEps are different. 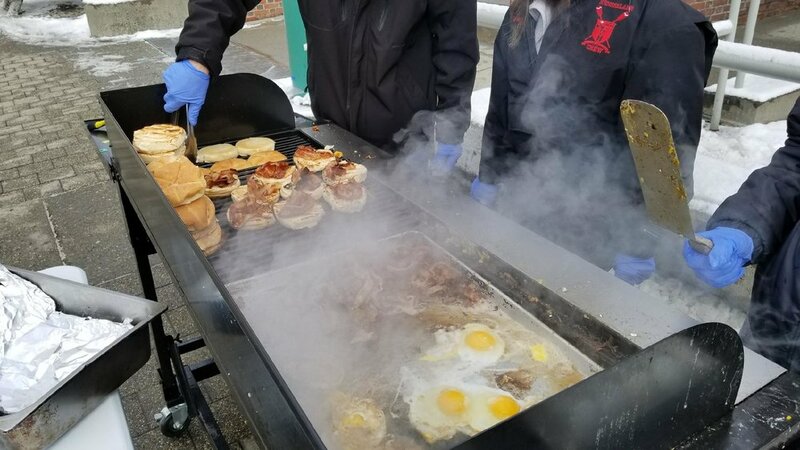 Since, 2014 NY Delta has been cooking and selling Bacon, Egg, and Cheese breakfast sandwiches outside of Russell Sage Dining Hall to raise money for Big Brothers Big Sisters (BBBS), SigEp's national philanthropic partner. 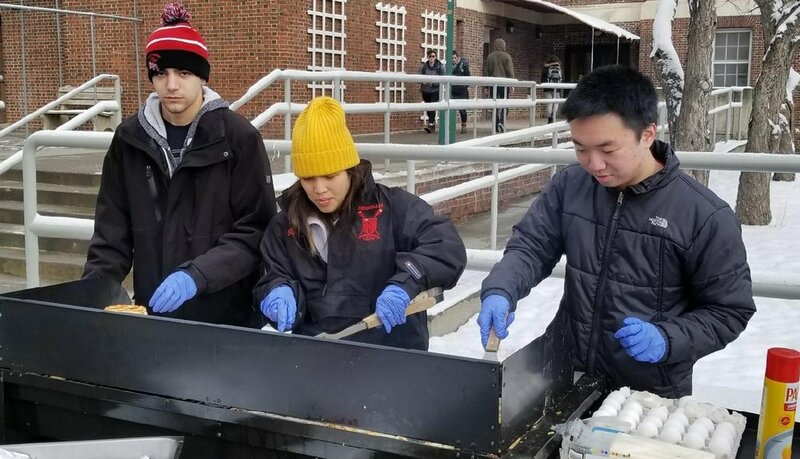 Dom Prudente '19 (left), Charity Kaye (center), and Jason Yang '21 work the grill on an early Friday morning. The 8-burner grill in use to provide thousands of sandwiches to the Rensselaer community. The event kicked off in October 2014 as a team of eight brothers lugged enough food and cooking equipment to prepare 60 sandwiches on campus. By 9:30, the chapter had exhausted its inventory and had to close for the day. Over the next four weeks, the sales continued to double. Now, over $18,000 has been raised for BBBS. One of the greatest successes in expanding their sales has been offering office delivery to the various departments on campus. Faculty and staff can place an order online up until Thursday night, and have sandwiches delivered right to their desk at their specified time Friday morning. The sales have continued as the fundraiser continues to be successful. Over the years, the chapter has invested in new equipment, and continues to grow the program. Brother Joe Noel '18 works the front end of the BEC operation, selling sandwiches to hungry customers. As alumni, we continue to be inspired by the continued success of the chapter with this worthy endeavor. The chapter plans to continue feeding the campus on Friday mornings with the best breakfast sandwiches made in upstate New York!